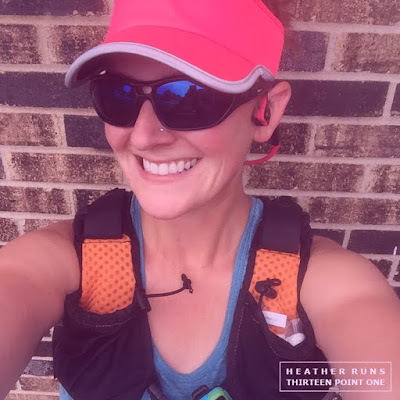 If you follow me on Instagram, you may notice that I always wear my Aftershokz Trekz Titanium for running outside. The open ear bone conduction allows for me to hear my surroundings – so no sneak attack by cars, cyclists, or other runners. I'm aware of what's happening around me, which is much safer than using in ear headphones. With October right around the corner, AfterShokz is joining the fight against breast and ovarian cancer by going (Bright) Pink! Our limited edition open ear Trekz Titanium Pink headphones are designed to keep you aware, but in more than one way. 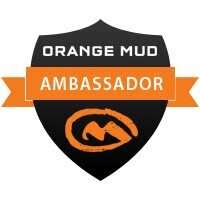 For every unit sold on aftershokz.com from September 1st to October 31st, 2016, AfterShokz will donate 25% of proceeds to Bright Pink, a non-profit that focuses on breast and ovarian cancer awareness and action. 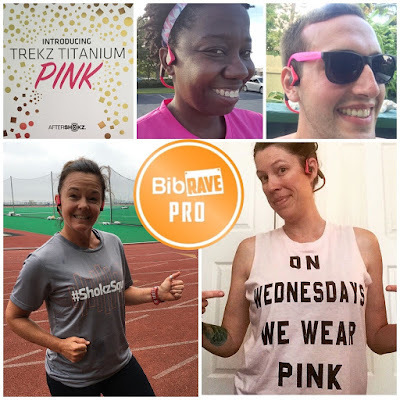 Plus, every time #AwareWithPink is used on Facebook, Twitter or Instagram, AfterShokz will donate an additional 25 cents to Bright Pink to extend the awareness. Spreading the hashtag will fund Bright Pink’s ongoing efforts to educate and drive awareness about how being proactive can make all the difference (up to 10,000 uses). So please, spread some awareness by using the hashtag #AwareWithPink. 1 in 67 women will develop ovarian cancer. 2 in 3 women who are diagnosed with ovarian cancer will die. >92% is the 5 year survival rate when breast and ovarian cancer is detected. That's why turning awareness into action could save your life. I'm sure you can relate to some of these statistics. Just about everyone knows someone that has been affected by breast cancer. My aunt died before I was born from breast cancer. My mother-in-law is a breast cancer survivor. She also was the manager of a breast health care clinic and now is an advocate for those diagnosed with breast cancer / breast cancer survivors. I know she spends hours on the phone talking with those affected by this disease and helping families get through treatments. Having gone through it, I know she can offer great advice and can help women and their families navigate the tricky waters after diagnosis. So what's something you can do? Give yourself monthly exams at home. See your health care provider. Early diagnosis is key and can be the difference between life and death. What else can you do? Buy a pair of Trekz Titanium Pink. Afterhokz donates 25% of each unit to Be Bright Pink – they help educate and are shifting the focus from general awareness to that critical next step — proactive, life-saving action. 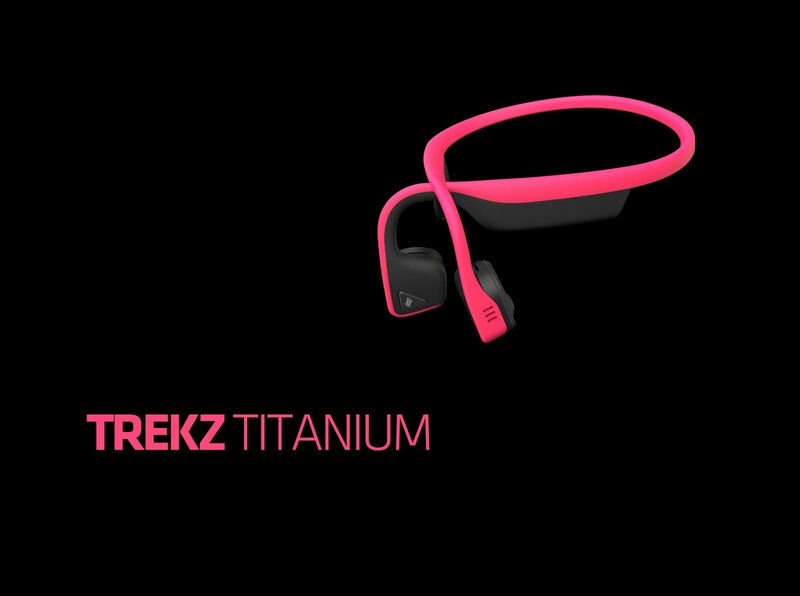 Trekz Titanium Pink are a limited-edition offering designed to keep you aware in more than one way. 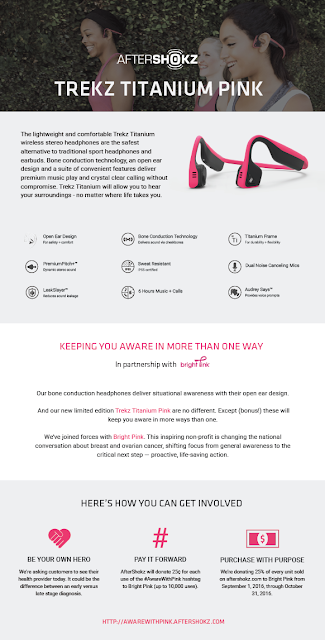 The open ear design of these hot pink headphones will keep you aware of your surroundings while you enjoy your music and calls, and a portion of proceeds raised from each unit sold will go back to Bright Pink to spread awareness about breast and ovarian cancer. Trekz Titanium Pink are wireless, sweat resistant and perfect for fitness enthusiasts. 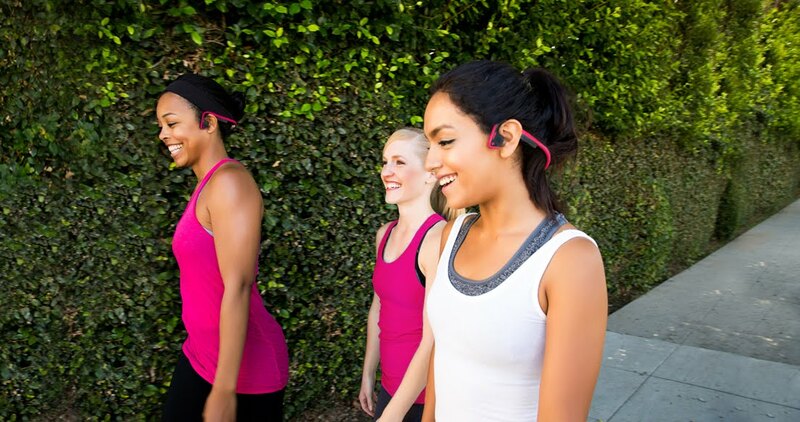 They don’t go inside or over your ears, so you don’t need to worry about them falling out mid-workout! You no longer have to choose between listening to Beyoncé or your running partner. With Trekz Titanium Pink, you can enjoy the company of both, since these headphones don’t go inside or over your ears and block out your environment or conversations! 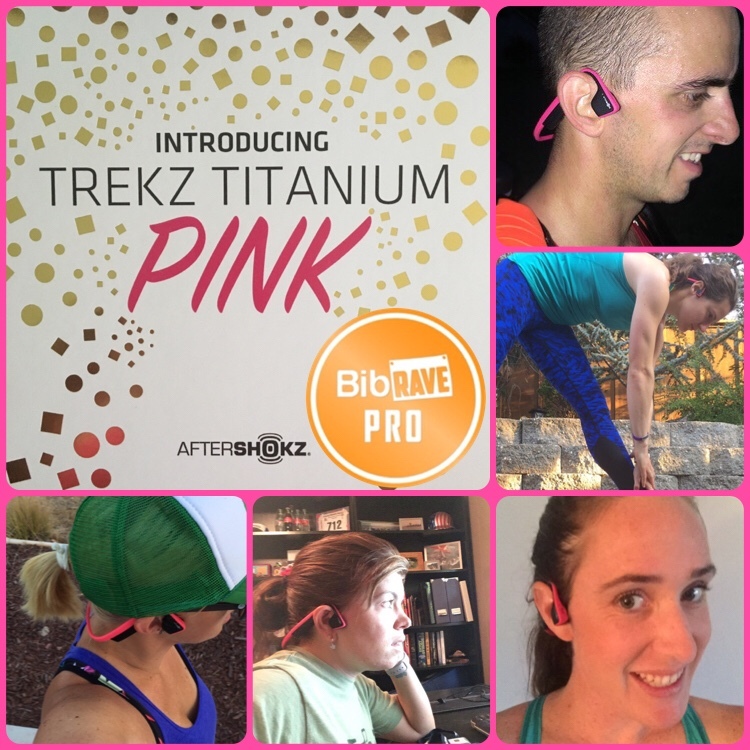 Trekz Titanium Pink are IP55 rated - which technically means you can hose them down and they’ll survive. Don’t go swimming with them, but rain and excessive sweat won’t do damage! The transducers rest on the cheekbones, in front of the ears. The frame should loop over the ears, with the band resting behind the head, close to the neck. The Fitbands are the two small rubber loops included in the accessory bag, intended to offer a more secure or comfortable fit for some users. They slide over the transducers, and rest mid-arm on the frame, with the flap facing up. (I have a smaller head, but have never had to use these, but definitely something to try if you feel you need a more secure fit). 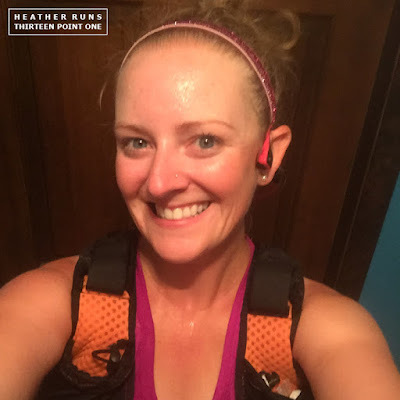 I sweat a TON during my summer marathon training (see photo up a few paragraphs haha — and that was at night without the sun! ), and these headphones have HELD UP. They are comfortable and amazing. 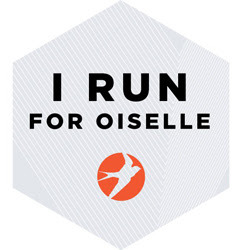 And now, 25% of the proceeds from each unit go towards a great non-profit. 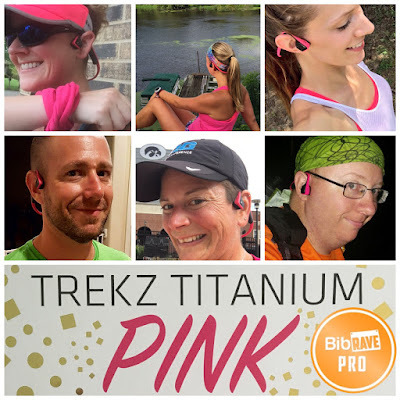 BONUS: Get a free portable case for your Trekz Titanium Pink using code PINK at checkout (add the item to your cart and use apply code 'PINK' at checkout to get it free). Even if you don't buy yourself a pair of these headphones, take the warnings seriously and make sure you are seeing your health care provider for annual check ups and to call and make an appointment if you notice anything concerning.